Here’s a little bit about me and the blog! 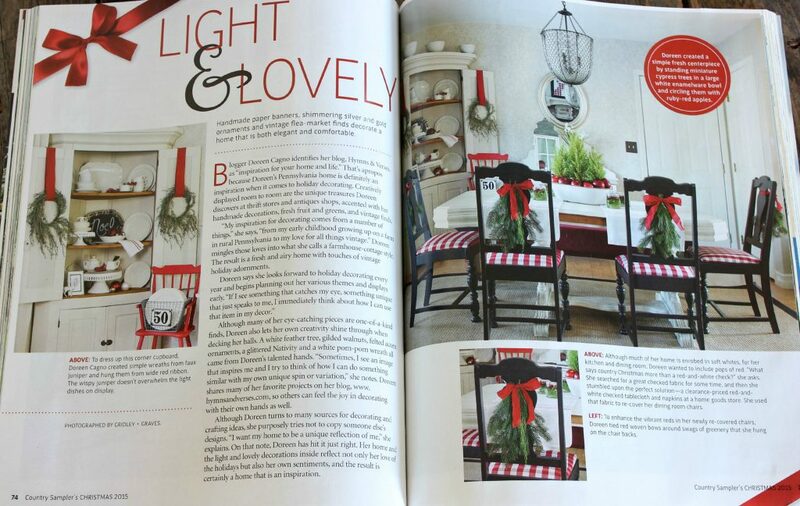 Hymns & Verses was launched in 2012 as a creative outlet for me to share my home decor projects! 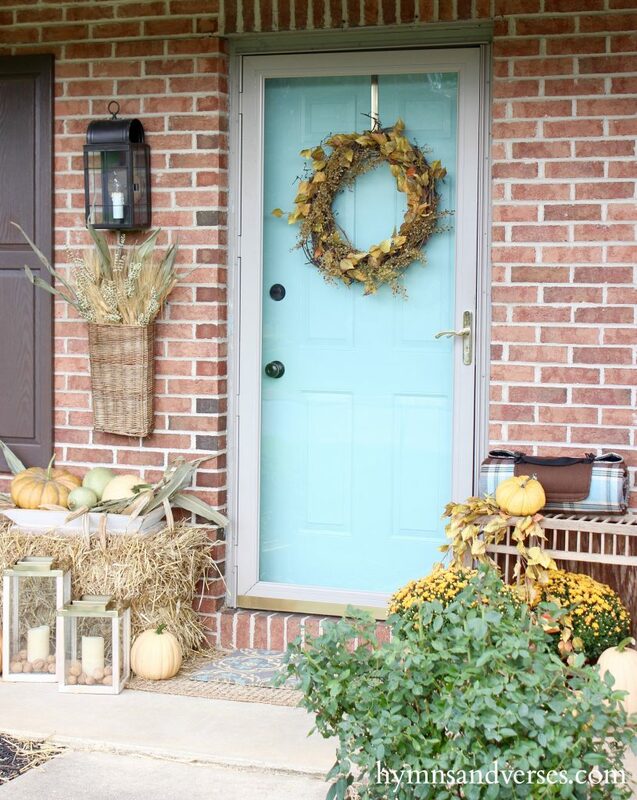 I want my home to be warm and welcoming to all who come through my turquoise front door! 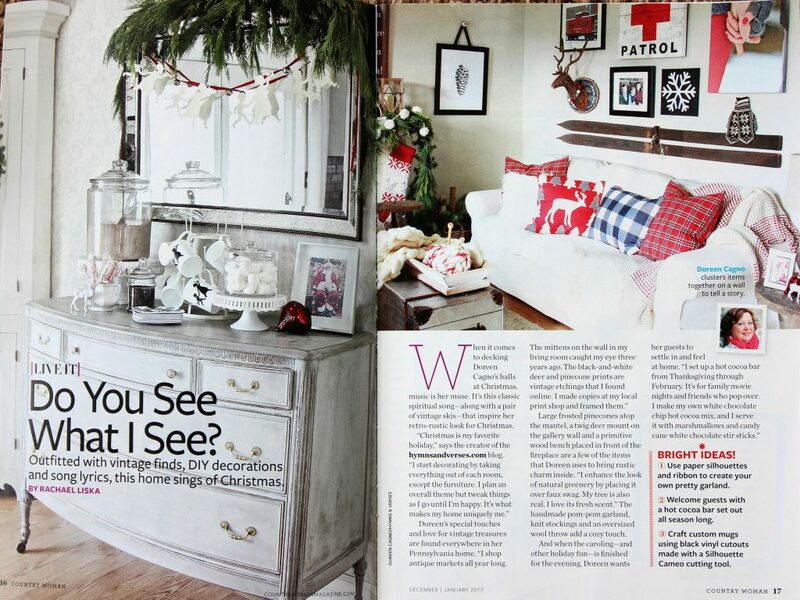 You’ll find me using vintage finds in my decor and I like to use things in unexpected ways. 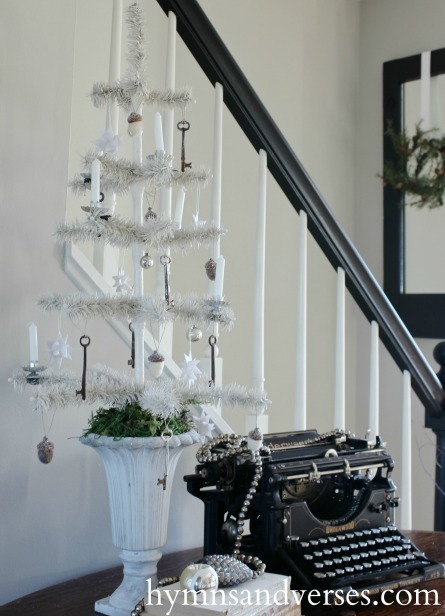 I also love to bring life back to old pieces by repurposing them into something useful or pretty! I also like to share easy DIY projects here with instructions so you can make your own! 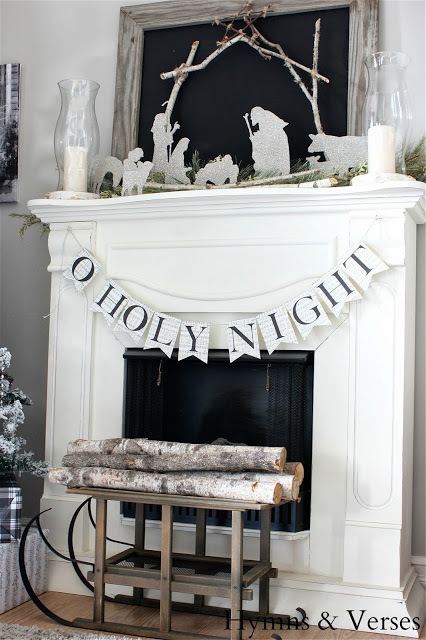 Here’s one of my most popular DIY’s – a German glass glitter silhouette nativity. In addition to the blog, I also have a Hymns & Verses Etsy Shop where I sell some of the items I’ve created for my home. 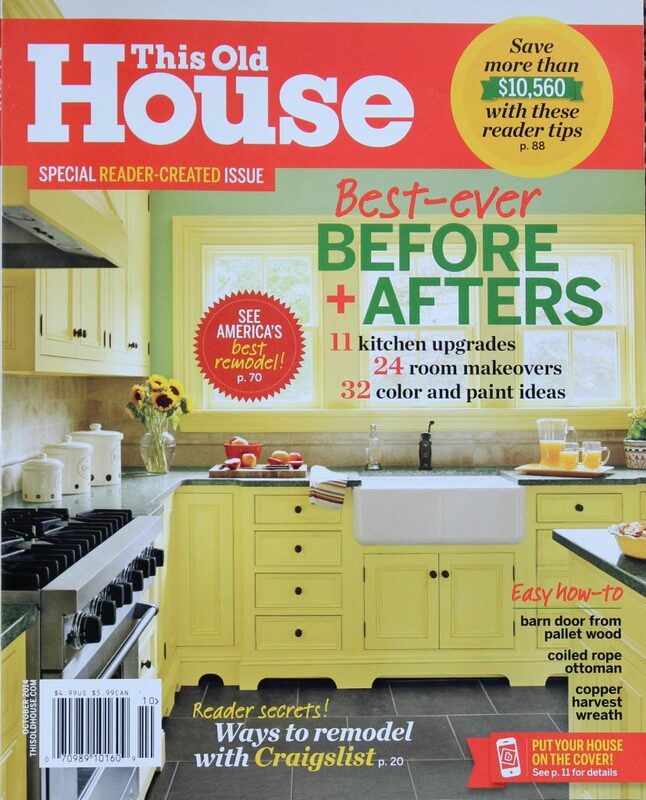 I’m honored that my blog has been featured in three print magazines. Finally, I’m Mark’s wife and Mom to Josh, Caleb, and Seth and my beautiful daughter-in-law, Sarah! Thanks for stopping by this little blog of mine! I’m so glad you’re here! I’d love for you to subscribe to get my posts in your email inbox. I try to post three days a week. Just click on the box below to subscribe and get a free print – “Tune My Heart to Sing Thy Grace”.